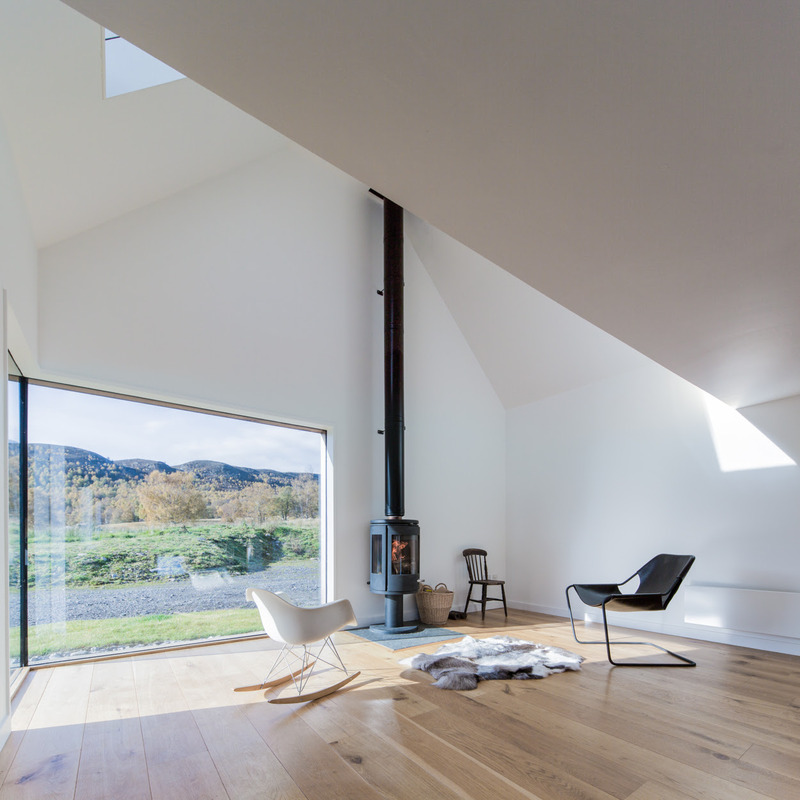 Moxon Architects has breathed new life into Coldrach, a formerly derelict farmhouse in the Cairngorms National Park in the Scottish Highlands. 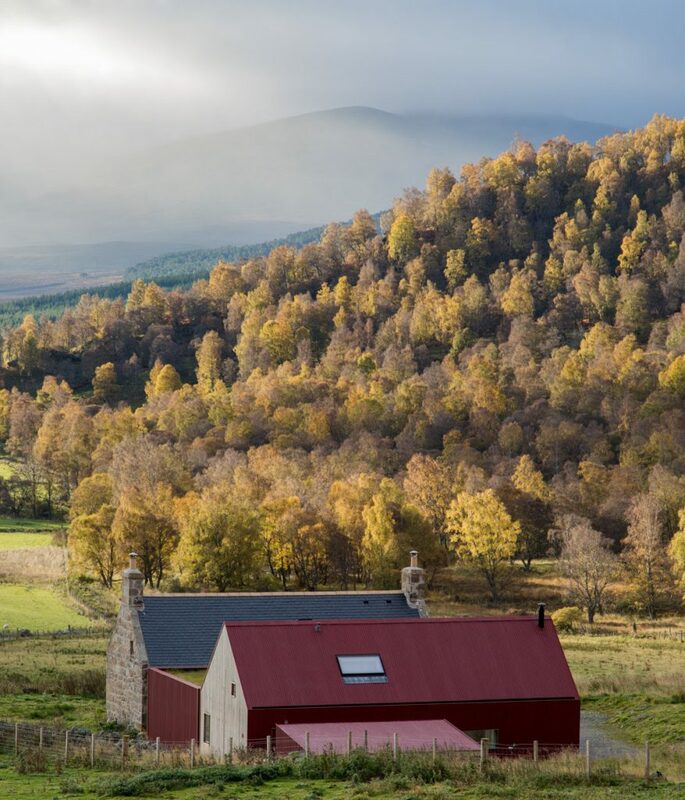 Situated at Crathie in the Lochnagar National Scenic Area, Coldrach is an 18th century farmhouse that has been sensitively restored as a private home with an extension that draws on the ad-hoc tin shed typology of farm buildings. 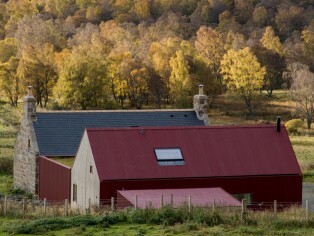 Moxon strove to evoke the charm and simplicity of the ‘But and ben’ cottages typical of the Highlands whilst creating a flexible family home. As part of the regeneration, the granite farmhouse has been restored using traditional craft techniques. A low-impact extension is positioned to the rear of the existing building, minimising impact on the topography of the site. The addition creates a ‘U’ form plan similar to that of vernacular steadings in the area. This gives a sheltered external space between the original farmhouse and the extension which acts as a micro-climate in the otherwise exposed site. The extension is nestled slightly below ground level, giving it a natural relationship with the surrounding landscape. Replicating the volume of the existing farmhouse, the 120 m² addition is connected to the original by a low-slung link volume with a fully planted meadow roof. 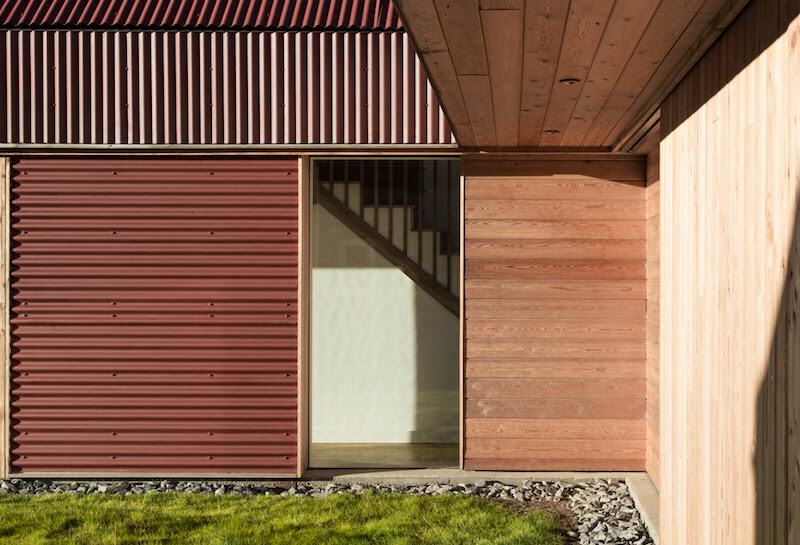 The new is connected to the old by a frameless band of glass, with the remainder of the addition clad in untreated European larch and finished in red-oxide corrugated metal sheets. The sinusoidal profile of the sheeting is used in horizontal and vertical directions to distinguish between fixed and moving panels – 50 percent of the courtyard wall area can be opened up. The result aims to not only reflect the austerity of the existing granite architecture but also continue the use of vernacular materials – honest and elementary. 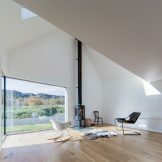 The extension’s larger windows help take in views of the surrounding summit of the mountain of Lochnagar and its sliding doors allow the home to open onto the courtyard.